People who have had a stroke, or suffer from dementia, Parkinson’s, multiple sclerosis, or certain types of cancer, may experience difficulty eating or swallowing — to the point where they cannot take food orally — and require a long-term solution for feeding. 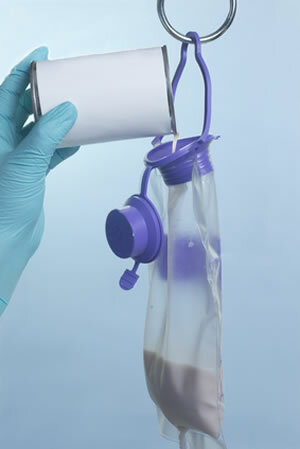 Enteral feeding is one common way for people who cannot eat orally to receive nutrition and medication. They are fed through a long, flexible tube that is placed directly into the stomach and extends outside the body. 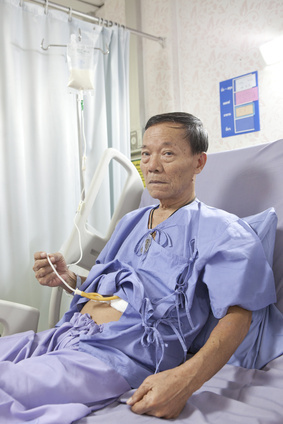 The tube is initially inserted in a minimally invasive procedure called percutaneous endoscopic gastrostomy (PEG). Many physicians recommend changing the initial PEG tube after six months with a replacement tube as a preventive measure to prevent complications arising from tube degradation, dislodgement, and clogging. During a hospital/office visit, the tube is pulled out (typically using traction), which may result in gastrointestinal tract perforation (7.6%) and leads to peritonitis. The primary reason is the internal rigid bumper. Bumpers need to be rigid enough to prevent tube dislodgement, yet flexible enough to easily remove the tube without damaging the tract. Accidental tube dislodgement is also common (up to 13%). Patients may pull out the tube or the long tubing dislodges during patient transfers, physical therapy or by being caught on sheets or bed railings. Over time, tube clogging/blockage (up to 45%), which compromise nutrient delivery and frustrate both patients and caregivers, mandates frequent replacements. Overall, complications associated with replacement are high, and tend to result in repeated, costly ER visits, as enteral feeding tubes must be reinserted within four hours to prevent the abdominal opening and tract from closing. The market seeks an enhanced enteral feeding device that stays securely in place and maintains tube patency during treatment for improved patient safety and reduced hospitalization costs. Annually, there are approximately 1.3 million PEG tube procedures worldwide and double this number of replacement procedures. According to Transparency Market Research, sales of PEG tubes, low-profile replacement tubes, and other gastrostomy tubes reached $600 million and are expected to exceed $660 million by 2020.